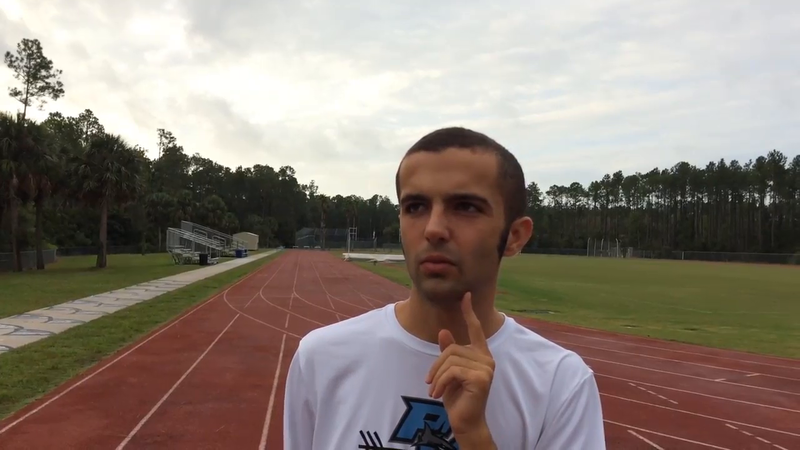 This week’s Athlete of the Week highlights cross country runner Patrick Lee from Ponte Vedra High School, who recently competed in the Craig Speziale Cross Country Invitational Meet and finished with a personal record. Lee is an exceptional student education (ESE) student who has not let his autism stand in the way of being a dedicated Shark teammate. Why did you decide to join the cross country team? Because my mom said I should do it, and I like to run. What was your favorite part about the Craig Speziale Cross Country Invitational Meet? How fast I ran. It was a personal record of 29:05. I woke up a little later than 4 a.m. Sometimes it hurts, sometimes whenever I'm running I need to stop by the gas station before school starts to use the bathroom. When all the girls started cheering for me I started to go really fast. How much have you improved? I improved by seven minutes. Do you plan on playing other sports, besides cross country? Yes, Rising Stars baseball in January, February and March, because I like baseball. What would be your advice for someone who is new to cross country? Get lots of sleep, drink lots of water, stretch, do your best, be patient and don't be so hard on yourself. Just enjoy it, it's a great group of people.